The energy group MVV Energie CZ is introducing a new visual style in October. This is based on spatial color loops, expressing energy and emphasizing the diversity of the group's portfolio. "We are an important player in the energy market. We can flexibly respond to the individual needs of our customers and to the specifics of the individual regions: we have the technological background to meet ever-tightening environmental limits. We are well prepared for current and future challenges. By combining modern technology with our expertise and experience, we are a responsible partner for our customers. The claim We inspire with energy. expresses our enthusiasm for environmentally friendly methods of energy production that we want to inspire others," says Jiří Koptík, Chairman of the Board of Directors. 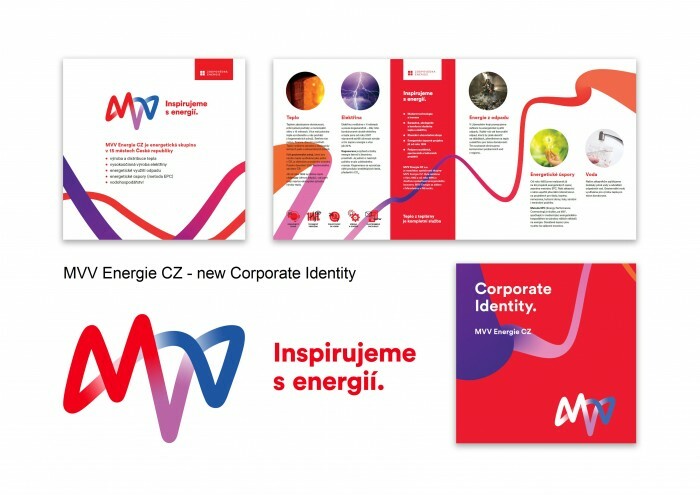 The red color, the symbol of energy, is MVV's traditional brand color. Blue expresses reliability and confidence. The logo, made up of space waves symbolizing different types of energy, distinctively displays three letters of the MVV brand and perfectly corresponds to the new visual style. The MVV Energie CZ Group comprises fifteen subsidiaries and operates in fifteen towns throughout the Czech Republic. The Group's parent company is MVV Energie CZ a.s., which was established in October 1993. Since 1999 the company has been a subsidiary of MVV Energie, a German energy group based in Mannheim, Germany. The three main pillars of MVV's strategy are the production and distribution of thermal energy, combined high-efficiency power production and the utilization of waste for energy generation.